Snider Hockey relies on the involvement and support of volunteers across the Delaware Valley. 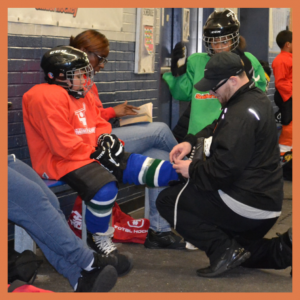 Volunteer opportunities are available at our six city rinks and the Flyers Skate Zone in Pennsauken, NJ. Volunteers assist our Site Coordinators with many tasks including but not limited to: executing practice plans, working one-on-one with Learn to Play student-athletes, assisting with academic tutoring, homework help, and life skills activities, and serving as a mentor and role model to Snider Hockey students. • Volunteers must have previous hockey experience and be a minimum of 18 years old to apply for this opportunity. 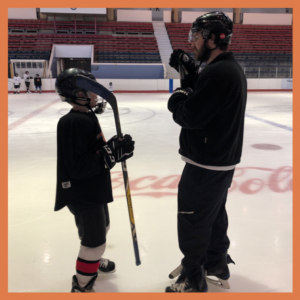 • Volunteers assist coaches and Site Coordinators with executing practice plans, setting-up drills, and working with struggling kids one-on-one. • Volunteers assist kids with getting dressed in the locker room and tying skates. • No previous hockey experience required. • Volunteers assist coaches and Site Coordinators with any off-ice duties in the locker room or the equipment closet. 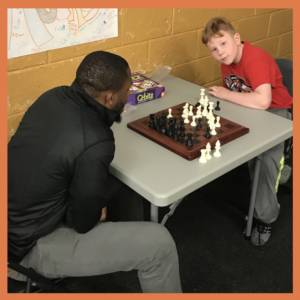 • Tasks include but are not limited to helping kids get dressed in the locker room, cleaning water bottles, and on-site equipment maintenance. • Volunteers assist Academic Assistants at the rinks with tutoring and homework help. • Volunteers can help with a range of subjects from writing, reading, math, history, science, etc. • Volunteers read with elementary school-aged students during our Reading Buddies programs at the Laura Sims Skate House and Simons Recreation Center. 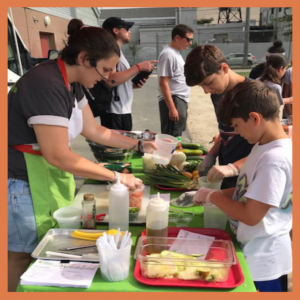 • Volunteers assist coaches and the Life Skills Coordinator with administering the nutrition curriculum to students participating in the Nutrition Education Program. • Volunteers help coaches and the Life Skills Coordinator prepare and clean up any materials necessary for snacks and/or activities.